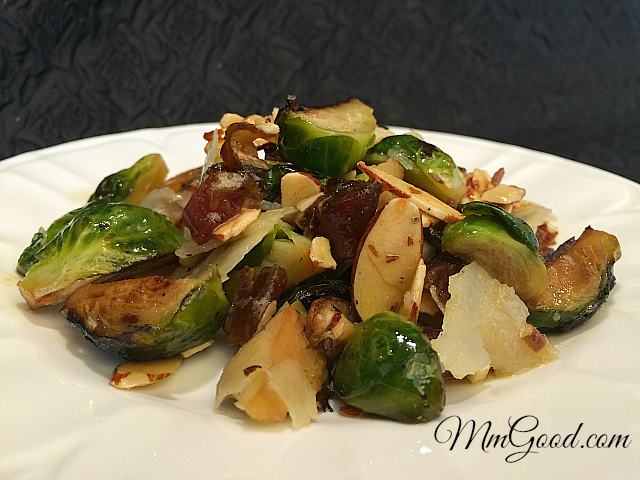 Do you like brussels sprouts? Being Italian, I do not recall growing up and eating brussels sprouts let alone liking them when I first was introduced to them. 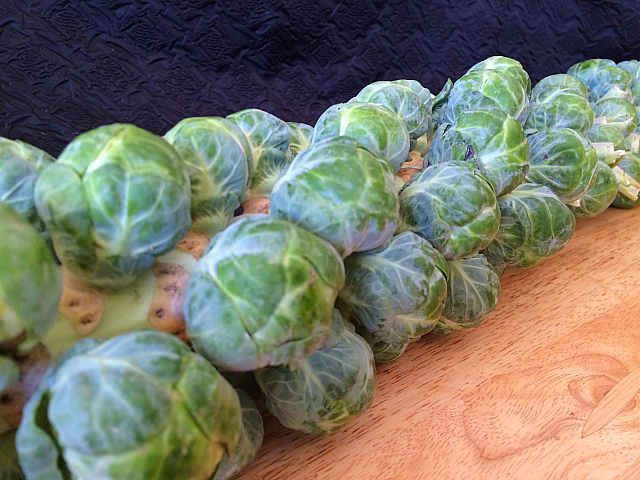 Boy have things changed when it comes to brussels sprouts, brussels sprouts have such a popular vegetable, you can enjoy them raw, steamed, pan fried or roasted and I can promise you, if you are willing to give them a chance, you will love them! I remember when I was working in the commerical kitchen that we would steam our brussels sprouts and then we would roast them in the oven. 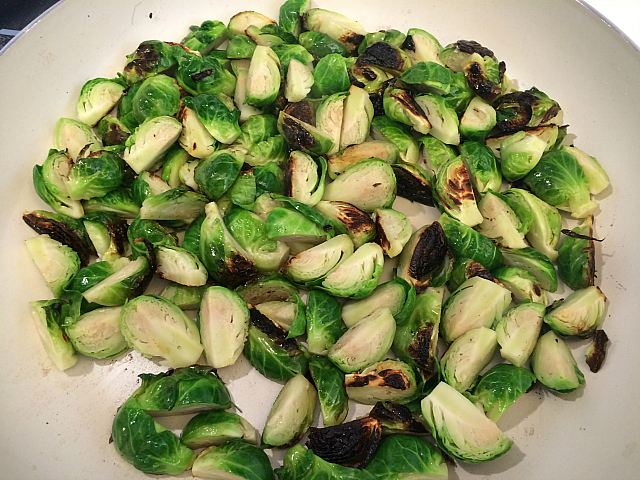 When I researched why, I learned that steaming the brussels sprouts first takes away some of the bitter taste in them. 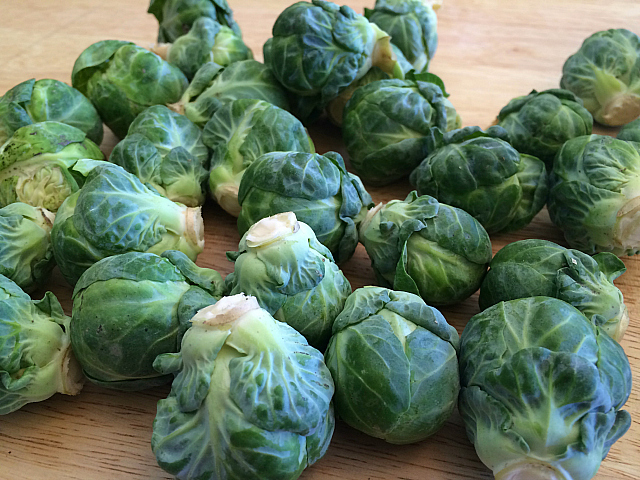 So for those of you that would say “brussels sprouts are too bitter” try steaming them and seeing if that makes a big difference for you. 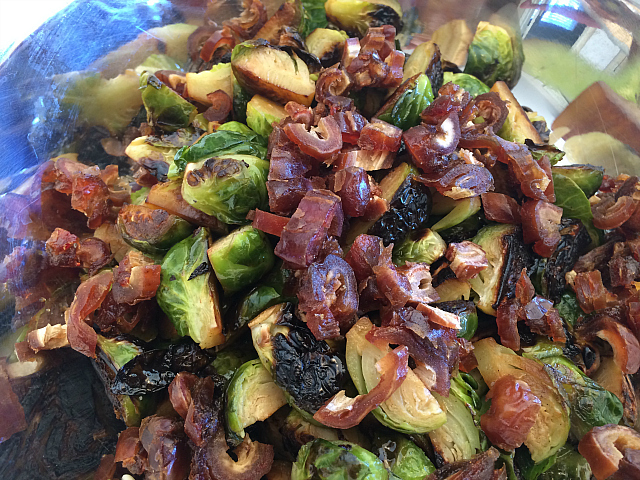 I created this recipe because I am teaching classes at the Conejo Valley Adult School and we are doing a “Fall Series” with “side dishes” as one of the classes. I wanted a bonus recipe, meaning that if we have time to do extra recipes, I wanted to have a recipe available to do. So, I played around with different recipes and then created this recipe and I just loved this recipe. I then made my dressing, sorry I did not love the photos I had for the dressing but if you watch my video below (YouTube video), I show you how to make the dressing. 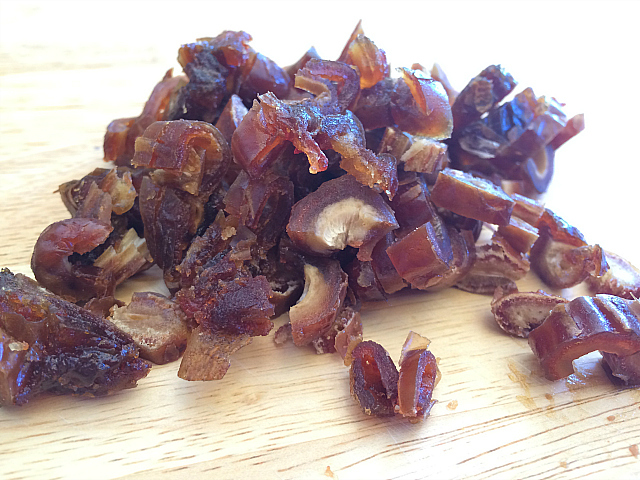 This was a super delicious recipe and was great served cold or at room temperature. I can say that if you want a stronger cheese flavor, you can use Parmesan cheese, as a matter of fact, while I used the Manchego cheese, I would prefer the parmesan cheese so that is how I will write up the recipe. I didn’t prefer eating this hot, I liked it better as a room temperature side dish or a cold side dish and it is even better served the next day! 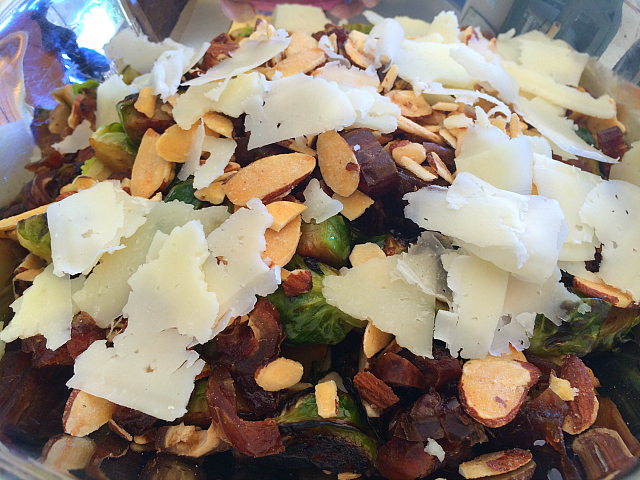 Here is the video tutorial on making this brussels sprouts side dish, I changed out the cheeses so you have a choice but I prefer the stronger cheese flavor of the Parmesan then the Manchego. 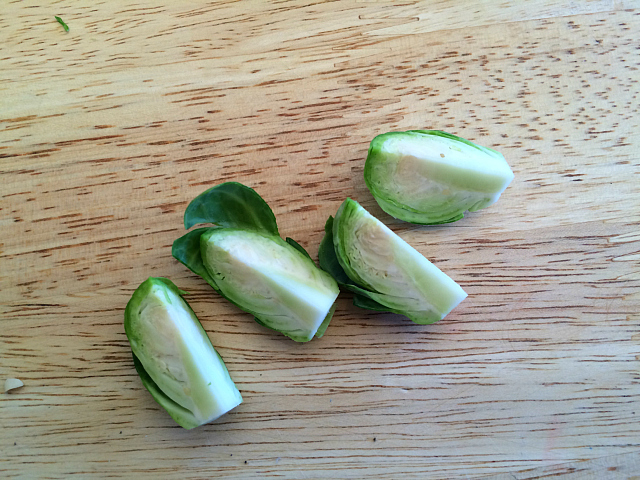 Clean your Brussels sprouts and slice them, in a frying pan, ½ tablespoon butter with ½ tablespoon oil, add your Brussels sprout, cover and cook until brown about 4-6 minutes. Turn your Brussels sprouts and the remaining butter and oil, cover and cook until they are golden brown 4-6 minutes more. To make your dressing, in a bowl whisk your mustard with your honey, rice vinegar, lemon juice and salt. Slowly add the oil, this will emulsify the dressing into a thicker dressing. Lightly dress your Brussels sprouts with the salad dressing, put your dates, nuts and cheese on your Brussels sprouts and toss. Serve hot or room temperature.